The Rock Climbing Development Instructor qualification is for experienced instructors wishing to develop a participant's rock climbing proficiency. This development may extend to the teaching of lead climbing. 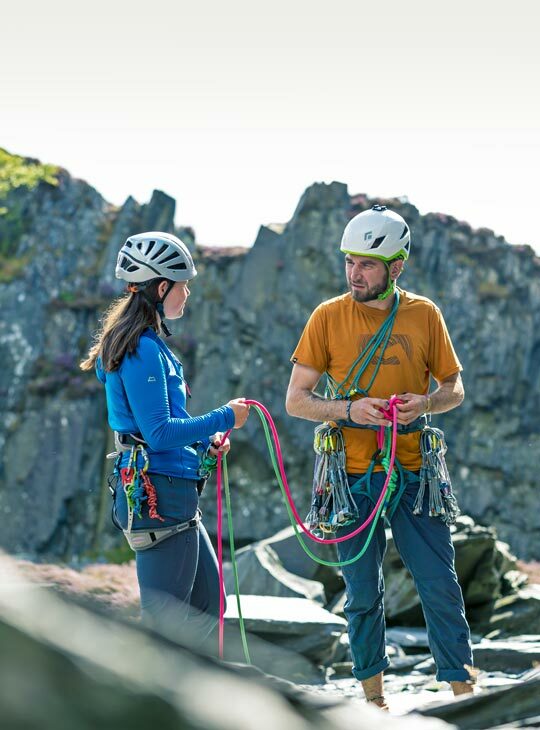 The scope of this new award allows qualified instructors to develop climbers wishing to climb both sport and traditional routes. This training course will be delivered over four days and covers all the essential aspects of the syllabus. You will hone your skills in teaching the technical aspects of rock climbing on both sport and traditional routes. 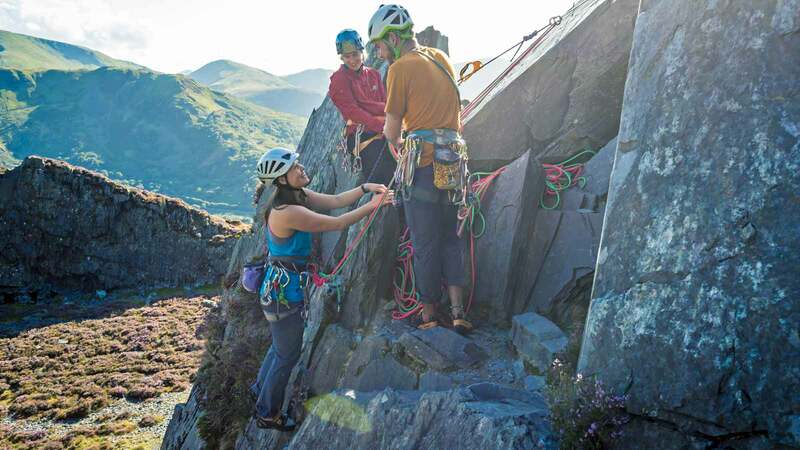 Based in the heart of northern Snowdonia we are ideally placed with a host of crags with both sport and traditional routes available. Given the varied locations it is always possible to find somewhere dry to climb. We also have a state of the art climbing facility which will be used for evening sessions and to enhance the outdoor delivery. The following key areas, all of which will be covered, to a greater or lesser extent, during your training course. We deliver the full Mountain Training syllabus, over the 4-day course, focussing on the areas most difficult to develop on your own. We will adopt a flexible approach to maximise on learning opportunities based on weather, conditions, and appropriate venues to cover the various aspects. The days will generally split as follows: Teaching and developing trad skills, judgement and decision making, equipment selection, crag selection, lead climbing at VS 4c and upwards, teaching and developing sport climbing skills, supervision of novice leaders and belayers, lead climbing at F6a upwards, introducing trad leading to novices, mock leading and feedback, supervision of new trad leaders and belayers, developing climbers’ performance on Sport and Trad climbs, more advanced ropework, coaching leader falls and belaying, developing on-sight, flash and redpoint tactics. Important. You must register for this award with Mountain Training and have the minimum requirements in your DLOG as shown below. 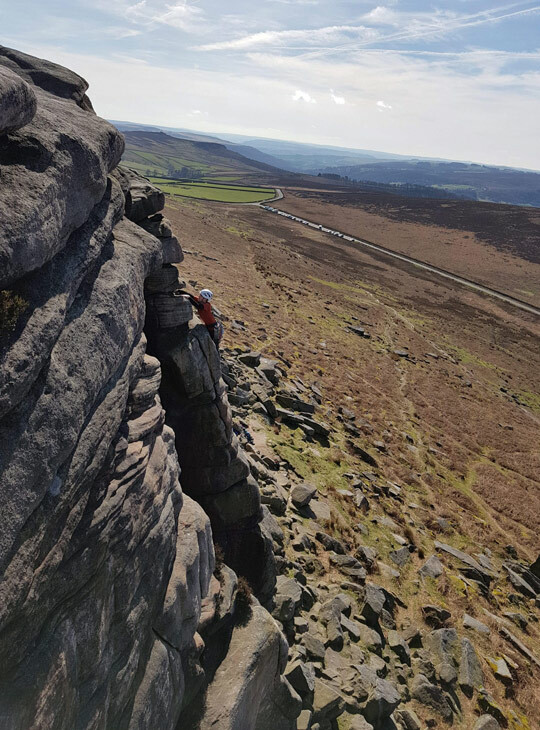 Have led a minimum of 60 named single pitch routes using leader places protection in three different climbing areas at VS 4c or above and logged them in DLOG. Outdoor wear which is comfortable to climb in - at all times of year e.g. climbing trousers, wicking base layers, fleeces, belay jacket. You must be registered on the Rock Climbing Development Instructor Award scheme with Mountain Training prior to attending this course and have the required experience. We want you to get the most from your training course and would therefore recommend that you are climbing proficiently at the required standard with recent relevant experience. Your DLOG should be up-to-date.